WASHINGTON - On Wednesday, The Senate voted to pass S.2155, known as the Bank Lobbyist Act. Reporting emerged earlier in that day that Chuck Schumer had given “the green light” since last year to members of the Democratic Caucus to partner with the GOP and push bank deregulation legislation. He even pledged to “facilitate a floor vote” on the bill, according to Sen. Heitkamp. "Today’s vote to deregulate big banks and facilitate racially discriminatory loans is a shameful moment for the Senate. The 17 Senate Democrats who joined the GOP to deliver this bank giveaway were as politically short-sighted as they were reckless in putting our economy at risk. "But we learned today that the Senate Democrats in this breakaway Bailout Caucus were not operating alone – they were aided and abetted by Senator Chuck Schumer. "If Schumer’s goal was to put our financial system at risk, promote racial discrimination, and leave voters confused about which party is controlled by Wall Street, then he delivered masterfully. "Can Schumer’s Democrats claim to stand against racial discrimination after voting to make it easier for banks to get away with forcing worse loans on communities of color? "Can Schumer’s Democrats claim to fight for the little guy after deregulating 25 of the country’s 40 biggest banks – and making it more likely the little guy’s money will be used to give them bailouts? "This is not what Americans expect or deserve from the top Democrat in the Senate. If progressives sit at home on Election Day this November, Chuck Schumer will be the one to blame." In recent days, activists at Rootstrikers, Daily Kos, and CREDO collected more than 125,000 petition signatures demanding Chuck Schumer move to block the Bank Lobbyist Act, and New Yorkers protested outside the Senate leader’s Brooklyn home against the bill last week. A broad coalition of membership groups including Demand Progress, CREDO, RootsAction, American Family Voices, Democracy for America, Daily Kos, Americans for Financial Reform and Public Citizen delivered more than half a million grassroots comments to the Senate opposing the Bank Lobbyist Act, including emails, petition signatures, and phone calls. Rootstrikers' grassroots activism was central to branding the supporters of the Bank Lobbyist Act as the #BailoutCaucus. 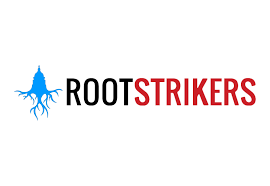 Rootstrikers is a project of Demand Progress dedicated to reclaiming our government so it works for everyone and not just the wealthy and the well-connected.